"I Passed!" I exclaimed when I got the news I passed the new National Board of Medical Examiners Exam to become one of the first Internationally Certified Health and Wellness Coaches from the same prestigious board that licenses physicians. Over the past couple of weeks approximately 1,000 coaches from around the world were notified they earned this credential. This is my experience, and one that you could have too should you decide to pursue this credential. After completing the specific 60-hour wellness coach curriculum required by the National Board of Medical Examiners/International Health and Wellness Coach Consortium, I submitted the documentation that I had completed 50 well-being oriented coaching sessions. Then I was given a date to take the exam. 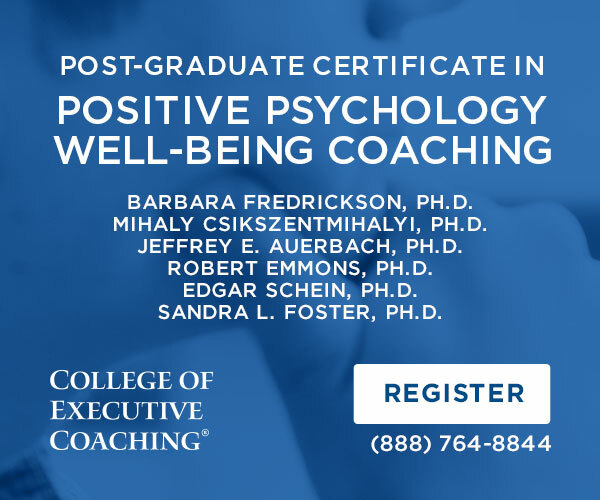 I did not study much for the exam—instead, I relied on the content shared in the College of Executive Coaching Positive Psychology and Wellbeing Coaching program, plus spent about six hours reviewing information on healthy lifestyle guidelines that was provided as an additional resource by CEC. About a month after taking the exam I received an email saying I had passed with a 94%! The course materials and the practice exam College of Executive Coaching provided were more than adequate for a passing score. According to the income tracking company Paysa, reports indicate successful private practice wellness coaches make $80,000-$93,000/year. Although working as a private practice wellness coaching exclusively is common, I am planning to integrate my well-being coaching skills into the other personal or executive coaching I am already doing. Another statistic regarding income for coaches by the International Coach Federation in 2011 reported that the worldwide average hourly rate for professional coaches was $250/hour, which means that coaches in the US—and especially executive coaches—earn much more. In support of this statistic, in 2009 the Harvard Business Review reported the average hourly rate for experienced executive coaches to be $500/hour. Whether you want to seek full-time work with one of the many companies advertising for health and wellness coaches or work with their own personal or executive coach clientele, a focus on a holistic view of well-being adds depth to the coaching alliance often resulting in longer and more robust coaching engagements and highly beneficial outcomes for both client and coach. Magda Mook, Executive Director of the International Coach Federation and faculty member of College of Executive Coaching, shared a 2013 study which indicates that companies that have exemplary health programs financially outperformed the S&P 500 by three to five percent. Why are organizations more profitable with health and wellness coaching programs? A healthy workforce is much more productive than an unhealthy one. Workplace health goes beyond the physical, it also includes interpersonal communication skills which coaching often helps develop. These improved workplace skills lead to a lasting positive impact in an employee’s career management. Mook found that it is helpful for leaders to model positive wellness behaviors, such as taking fitness breaks or utilizing a coach themselves, and having an open dialogue with employees about their wellness. If employees see their leaders using a wellness or coaching program, they feel less self-conscious about taking breaks for fitness or stress reduction—and the result is a more rested, engaged and productive workforce. Health and wellness coaching programs should not be an add-on to your organization. Integrating a well-being and executive coaching approach into the core values of your organization will result in a positive return on investment in financial, engagement, productivity and work satisfaction metrics. 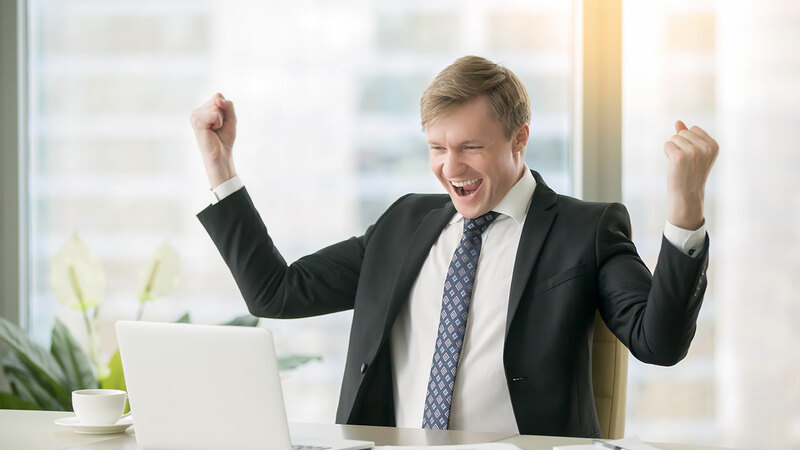 Engaging a certified executive and wellness coach to help you design a coaching program leads to a happier, healthier, more engaged and more productive workforce. Specialized training in well-being coaching is now available and leads to a nationally recognized credential.